Berney’s other central character, Julianna Rosales, was only twelve years old when her life was transformed by an equally random experience of incomprehensible loss. Having taken Julianna to the Oklahoma State Fair, her older sister, Genevieve, asks her to wait for her briefly. As it grows darker and darker, Julianne continues to wait, but her sister never returns: “Why did Genevieve do it? How could she do it? How could she leave Julianna alone on the curb outside the rodeo arena, dusk falling fast, and never come back? Julianna would never know.” Like Wyatt, Julianna is tormented by the thought of not knowing, and obsessively pursues any leads she can find. 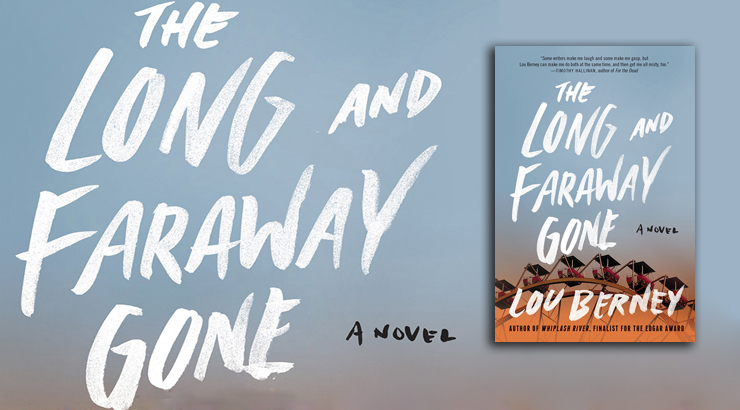 The Long and Faraway Gone is a riveting novel – sharply written, subtle, funny and moving. There are answers to the questions raised, but not altogether tidy and reassuring ones. There is no easy, revealing convergence of the two plot lines. 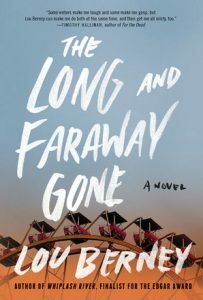 Wyatt and Julianna, who meet twice during the course of their investigations, converse briefly, but only to share fragmentary memories of Oklahoma City in the mid-80s. These are not memories of the mysteries they are trying to unravel but simply recollections of intensely felt moments, like the time they both saw the same tornado – in Julianna’s memory, “so close it was almost on top of us. It was right there. It had been there all along, and we didn’t know it.” The powerfully experienced memory animated in this scene resembles, for both of them, their ultimate realizations about what happened in the long-ago tragedies of their lives – something that was there all along, but not recognized until seen in the mind’s eye with a sudden clarity. The effect of such moments of recall is to realign facts as they had imagined them to be, allowing them to come to terms with the past and with the possibility of moving on, however tentatively and painfully.